Being able to adapt to globalisation has become an essential factor to succeed in business. Due to the new trends in almost every industry and the ever-changing market conditions, businesses now need more that just their standard offerings to avoid bankruptcy. Apart from following new trends, they are supposed to create them as well. Innovation plays a key role in creating better offerings to attract new customers and meet their expectations. Speaking of meeting customer expectations today, many small and medium businesses find it challenging to maintain their market position. Businesses that have embraced change and are willing to offer innovative products are more successful in creating recognisable brands. Meanwhile, businesses that don’t invest their resources in innovative products or services are doomed to fail. The importance of innovation in business is immense. Successful leaders are dedicated to making their products and services different from the competition. That is one of the best strategies for making a company stand out and attract more customers. Being the first one to offer new and more useful products on the market is an advantage that can be profitable. Innovation is also important in a broader sense. Innovative products can help people improve their lives on different levels. It can help people become more effective at work or save them a lot of time and money. The lack of innovation can hurt a business regardless of its size. These five companies used to be massive in their time, but they refused to change. 1. Blockbuster – Taking into consideration the level of popularity of this once large and successful business, it was almost surreal to watch it fail. This was a huge company which had the rare privilege to enjoy intense client loyalty. Unfortunately, the popular DVD rental business faced serious challenges. It failed to embrace innovation and buy Netflix in the year 2000. 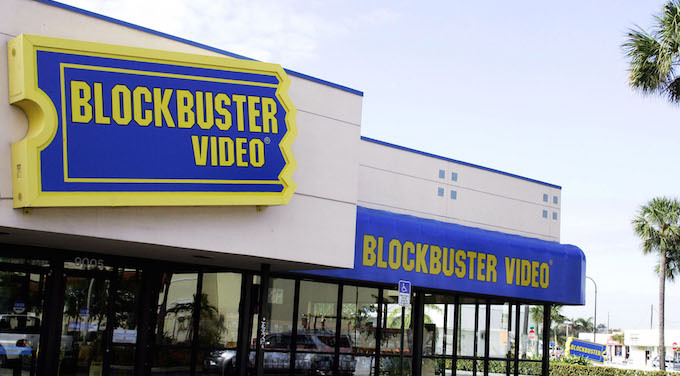 Blockbuster lost their position on the market due to the inability to innovate. They failed to keep up with the new streaming services and lost a great deal of their loyal clients. Since they didn’t recognise the advantage of innovative ideas, or the bright future of streaming, they went out of business in 2013. Soon after, Netflix became the most popular choice for people desiring to watch a movie at home. 2. Kodak – This is another highly popular brand, recognised by customers worldwide, which became one of the businesses that have failed due to lack of innovative ideas. In the 1970s’, Kodak held over 80% of camera sales and 90% of film sales. 3. Yahoo – About a decade ago, this business held the first position in their industry. Back then, Yahoo owned over 20% of the online advertising market. However, due to lack of innovation, Yahoo has become one of the businesses that have failed to maintain their high market position. 4. Xerox – One of the most fascinating business stories you can find. This is a company that at at end of the 90s was worth $64 a share. By 2001 it dropped to a measly $7 a share. What makes Xerox unique is that it actually was behind one of the most innovative teams in history, yet it failed due to not capitalizing on its own innovations. The Palo Alto Research Center (PARC) was a special research team funded by Xerox with the goal of coming up with new and innovative technology. They were behind the invention of personal computers as we know them, laser printing, Ethernet, peer-to-peer computing, desktop publishing, graphical (mouse-driven) interfaces and so much more. Ironically enough, other corporations have used PARC ideas to make Billions, yet Xerox itself never implemented most of those ideas as part of their own product offerings. This goes to show that sometimes innovation is a management issue. You may have the brightest innovators in your company, but if your managers can’t implement those innovations, you have nothing. 5. MySpace – This business had an impressive start, acknowledging people’s need to connect with friends online. They recognised that people would be interested in meeting and connecting with others from all around the world, as well as presenting themselves through photos and other media. Creating MySpace was a brilliant idea, but things didn’t go the way everyone planned. After a while, Facebook appeared out of nowhere and took over where MySpace left off. Facebook soon became very popular, taking over MySpace users with ease. What made Facebook succeed was the willingness to develop and innovate – something that MySpace never paid attention to. In the business world, it is essential to be unique and develop a highly competitive product or service. Being innovative can help you create a great brand and always be one step ahead of the competition. Meanwhile, the absence of innovation will inevitably lead to decreased profits and eventually, bankruptcy. In this article, we talked about some popular businesses that failed to survive due to lack of innovation. Now, chances are you are not the CEO of a large corporation, so these examples have nothing to teach you, do they? Actually, lack of innovation is also why small businesses fail. The lessons are the same, innovate or perish.